SOUTH PADRE ISLAND — The room was filled with sounds of clanking silverware and a roar of conversations. It was past closing time at the Grapevine Café and Coffeehouse Friday afternoon, and the establishment was still packed with business. 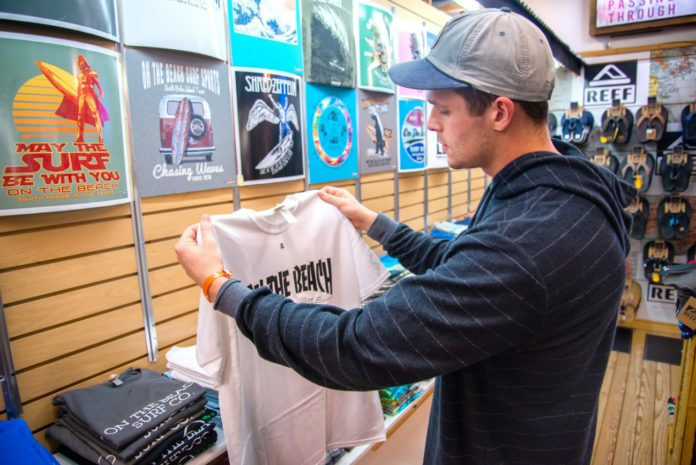 The first week of Spring Break is in the books and the Island is set to see a second wave of vacationers this week. With the UT System’s split from taking Spring Break during Texas week, city officials expect to see a more “spread out” and “lengthened” season this year that will help the Island’s economy. According to SPI Convention and Visitors Bureau Interim Director Michael Flores, Spring Break season is a very important time for the city and officials are excited to see occupancy growth this year. “Right now it’s looking very strong and we hope to have sustained growth through the end of March,” Flores said. The city collected $1.5 million in hotel occupancy tax last year. According to Flores, hotel occupancy on the Island during the first week of March compared to last year was up 9.7 percent, revenue per available room was up by 15.7 percent and the average daily rate was up by 6.5 percent. The three metrics “tell the story” of the city’s hotel tax collections. According to Flores, last March was the highest grossing food and beverage tax period for the city. Flores said the city’s food and beverage tax sales from local businesses take about 30 days to configure and won’t be available until the middle of April. “There are whole families who visit the shop from moms and dads to grandmas and grandpas. So that’s the part that helps us because right now Spring Break is an extension of our Winter Texan time,” Money explained. For the past couple of years, the city has donated parking lots at the convention center to local nonprofits during the Spring Break season. Each nonprofit has a raffle to select days they can charge parking fees at the convention center and can keep all of the money they raise. According to Flores, the city helped participating nonprofits raise $26,000 last Spring Break. This year, five nonprofits are participating in the parking fundraiser, including the South Padre Island Birding and Nature Center, Sea Turtle, Inc., Laguna Madre Art League, Boy Scouts of America Laguna Madre Scout Troop and Friends of Animal Rescue. Friends of Animal Rescue shelter personnel have participated in the fundraising opportunity for the past four years and believe it has been a very beneficial opportunity. The city and participating nonprofits are hoping to raise about $27,000 to $30,000 this Spring Break season.